Why She’s Top 40: She writes and teaches law with an unflinching commitment to human rights. 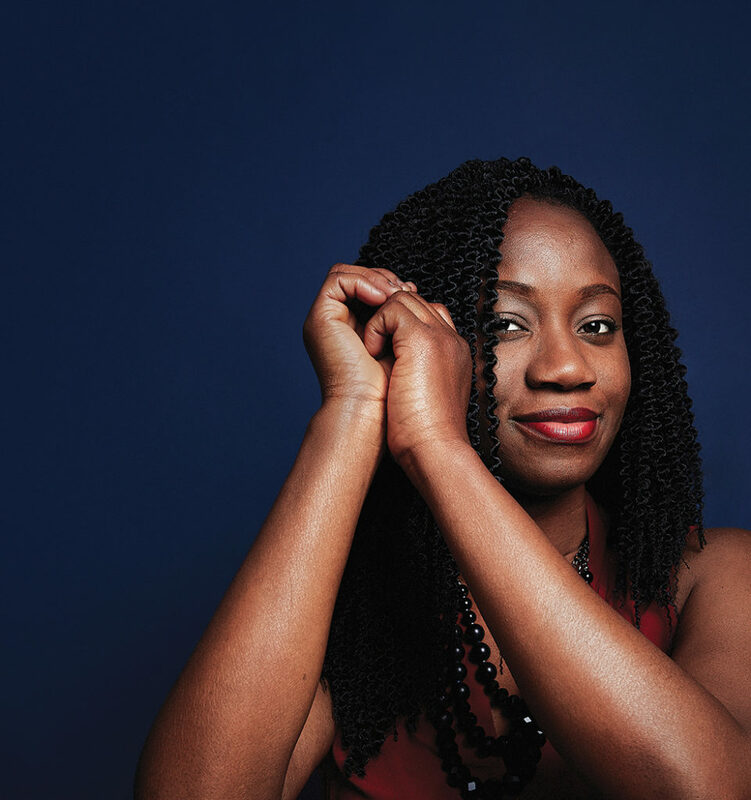 As a child in Nigeria, Irehobhude Iyioha made a list of her dreams and stuck it in a book that included goals like: Become a writer and study law. Iyioha’s mother, Patricia, was a well-known local activist, school principal and restaurateur. “She and my father raised me to never think of my gender as a barrier to success,” Iyioha recalls, “and I was inspired by them to do whatever I wanted.” Her list, therefore, was long. One day, some classmates nabbed the book it was in, and brought it onto the schoolyard, where they read it aloud and laughed. But Iyioha was determined. She eventually earned three law degrees, including a PhD from the University of British Columbia, and practised law in Nigeria, where she earned a Baccalaureate in Law. She taught at Western University and UBC, worked in policy with the Ontario and Alberta governments, and, in 2012, joined the University of Alberta Faculty of Medicine and Dentristry at the John Dossetor Health Ethics Centre. In 2016, she became the first black female professor in the Faculty of Law in the U of A’s 110-year history. “The way I connect all these worlds,” she says, “is by exploring the rule of law as an instrument for advancing the interests of the vulnerable, marginalized or disenfranchised.” After reading an article about women’s health and child care that Iyioha wrote for the Edmonton Journal in 2015, then-candidate Rachel Notley quoted the article in campaign material and, later, Public Interest Alberta asked her to speak. On top of it all, when her children are asleep, Iyioha writes fiction, and she’s been published in journals in the United Kingdom, Canada, Nigeria and Europe. Recently she was named one of Canada’s 150 most-accomplished immigrant women. She’s also the founder and CEO of the non-profit PEIF Fund Inc., which mentors young professionals who are willing to work with vulnerable youth. Its acronym is her mother’s initials. And that list? It’s complete.